Disclaimer for Credit Card Users: By submitting payment for this membership you agree that you are not using a business credit card and you acknowledge that you are not using someone else’s (business or personal) credit/debit card to make a contribution for someone else. There is a $5.00 processing fee for all credit card transactions processed on this website. Join our movement. We are currently looking for volunteers to help move Wisconsin forward. Join the Republican Party of Walworth County today and start making a difference! 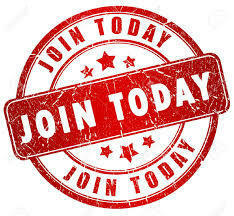 Join the Republican Party of Walworth County and start making a difference today! Contribute with a donation and help us maintain field operation and grow the Party at the local level. Connect with us via social media to get exclusive updates from the Republican Party of Walworth County, and help deliver our message online – all from the comfort of your home. Help spread the positive message of Walworth County Republicans by writing a letter to the editor of your local paper. It’s fast, easy, and a great way to support the GOP in your community. Our government is elected by its citizens and voting helps determine what happens in our lives, from schools to health care to homeland security. Voting is an important right in our society. 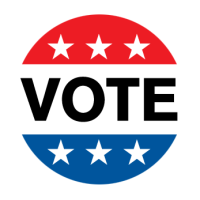 By voting, you are making your voice heard on how you think the government should operate. Check with your local clerk or go www.myvote.wi.gov to find out what is on the ballot in your area. ​ By submitting payment for membership online you agree that you are not using a business credit card and you acknowledge that you are not using someone else’s (business or personal) credit/debit card to make a contribution for someone else. There is a $5.00 processing fee for all credit card transactions processed on this website.